The Creative Writer, Level Two guides middle- and high-school students through an innovative, compelling series of exercises, each one designed to build your skill in the essential ingredients of fiction and poetry. Then, author Boris Fishman sets you free to create your own recipe for gripping fiction and spellbinding poetry. 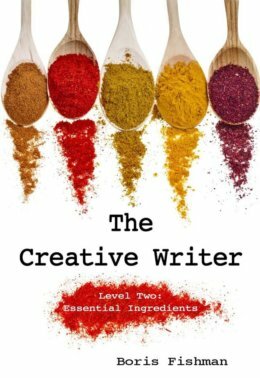 Use as a follow-up to The Creative Writer, Level One: Five Finger Exercises. Or begin with the second volume as a more advanced introduction to imaginative writing. Each volume contains directions and instructions for the developing writer, as well as detailed guidance for the mentor or teacher. About the Author: BORIS FISHMAN (MFA, New York University) is a writer, editor, and translator. He is the author of the acclaimed novels A Replacement Life and Don’t Let My Baby Do Rodeo, and the short-story collection Wild East: Stories from the Last Frontier, and has written for The New Yorker, The Wall Street Journal, The New York Times Magazine, The New Republic, Harper’s, and many other publications.